« The eagle, the courageous and the blind. Airliner Lavatories: No Blue Sky and NO DEUCE. Ever. I couldn’t wait to stick my head in that toilet. I was nine, we were flying from Buffalo to Chicago and when the seatbelt sign finally went off, I flew up to the lav, just certain that when I flushed the toilet–once I figured out how–the bottom of the bowl would open up and I’d see blue sky below. I’d planned to drop stuff out of there across the country, pencils, tissue, pictures, maybe even a deuce if I could work one up. What a buzzkill when I realized the truth: it’s just a chemical toilet. No open skies, thousands of feet of open sky below. Just a chemical toilet. Well, it’s worse than that. 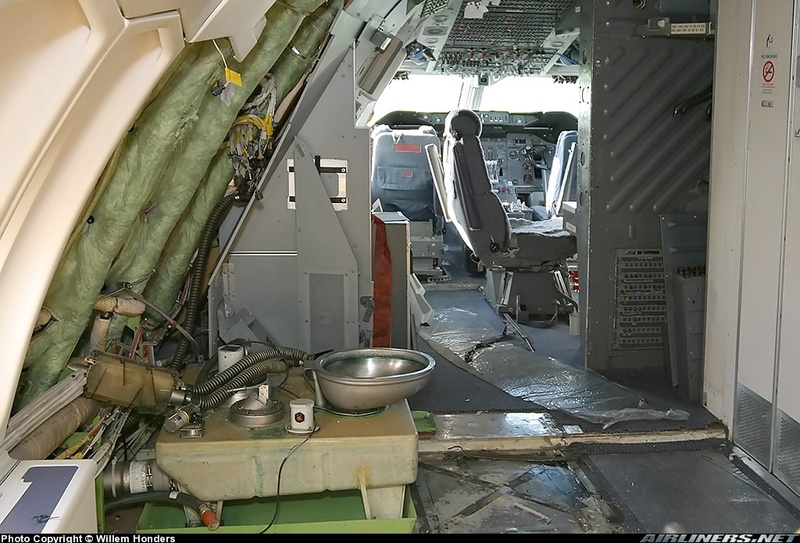 The way your modern airliner is designed, it’s basically a chemical toilet with no water–just degerm solution swirling around below an aluminum “splash pan.” Yes, “ewwwwww,” but stay with me–it gets even worse: the chemical toilet is barely an arm’s reach from the galley. This is you, standing in the galley, looking into the can. Nice, huh? Okay, see where that bowl is? And see where my seat in the cockpit up front on the left is? And how close? Well, the ventilation is designed so that whatever you do in the lav is brought forward almost instantly. An old Air Force buddy of mine flies for Southwest Airlines and reports this as a major problem on early morning flights. Since Southwest doesn’t have reserved seating, a line forms at the gate well before boarding. And no one will leave the line to go to the bathroom lest they lose their boarding priority. He reports that as soon as they’re airborne, everyone suddenly needs their morning constitutional. The end result could only be described as similar to my high school memories on Saturdays when my Dad would roam the house picking up newspapers and magazines. You knew what was coming next: an hourlong sit down during which you hoped none of your friends came over; the whole house smelled like, well, an airplane lav. But that does make it hard to drink my morning coffee (believe me: you want me to have my morning coffee) and does nothing for your fellow passengers gagging up front. It’s good to be captain. You? Go to the aft lav in the rear of the airplane. Everyone back there’s traveling on some kind of discount anyway, they can live with it. 2. Mile High Club? Seriously? What, in an outhouse? The last guy’s skid marks (remember: no water) stinking the place up? Now THAT’S amore. And you’d have to be an idiot. Your buddy who claims he did it in the lav (yeah, right) is an idiot for even thinking about it. 3. In and out, quickly. No newspapers, you’re not my Dad and this isn’t Saturday; you’re in a Porta-Potty five miles up at 500 miles an hour. Make it quick. 4. Wear shoes! It’s not that we mind you mopping up the sticky spillage on the lav floor with your socks (or less–ewwwwww); we don’t. It’s just the thought of it makes me gag when I type this, and especially when I see you doing it. 5. Mercy Flush: every thirty seconds, at least. Remember: no water. Lots of air. People trying hard to breathe and your atomized particulate matter is wafting around the cabin. Look, your best bet is to just hold it, because the lav’s a filthy Petri dish; between flights the unlucky low man on the ramp totem pole holds his nose, flaps a rag around the lav, sprays some junk to mask the stench then slams the door. You can hold it and remember, it’s not like the bottom’s going to open up and let you throw stuff out into the blue sky. Seriously, I checked. My in-flight hogfest from LaGarbage to DFW February 2. 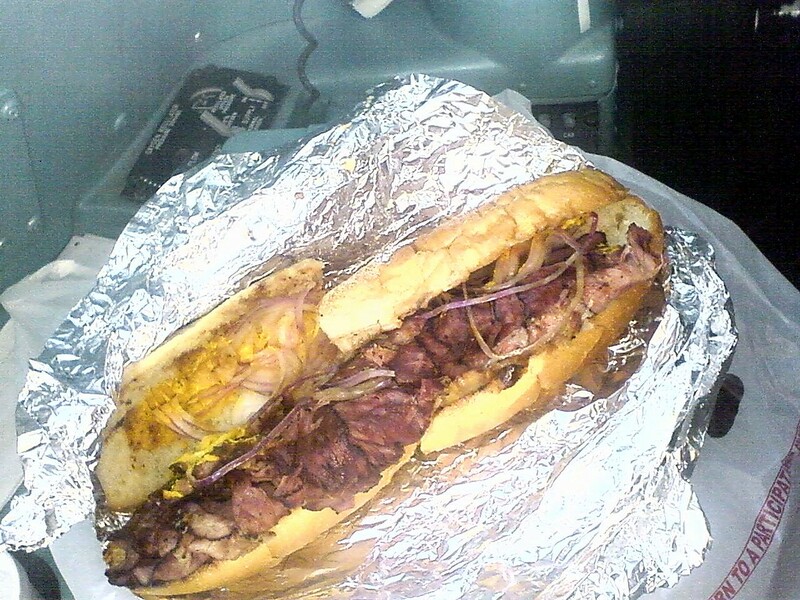 Hot pastrami with provolone, onions and mustard on a hero. Definitely will get you to the other coast, and someone’s going on oxygen a couple hours into the trip. Okay, there’s the connection with the “Deuce” post above. When I was a First Officer–back when the earth was still cooling and dinosaurs roamed the planet–on the DC-10, I’d get one of these babies to go from the LaGuardia deli and eat it in flight enroute to O’Hare. During the next leg, about midway to Seattle, you could count on a burnt-onions-like gas cloud in the cockpit that had the captain ranting. What was he all whipped up about? Here, just Pull My Finger. He’d fingerpoint, eventually at me, but on a three-man crew he couldn’t be certain if it was me or the flight engineer (that’s the beauty of today’s two-man crews: you always know who farted) who was responsible for gagging him. I swore up and down it wasn’t me. Then one trip, the usual engineer called in sick. Over Wyoming–same stench. Busted; he wouldn’t give me any landings the rest of the trip. but seriously–nobody’s reading this blog, much less this far down in it, plus she doesn’t even know I have a blog. So shhhhhhh, mum’s the word, okay? Besides, whenever she asks me what I could possibly know about the general topic I call “Man Stuff,” I tell her honestly, “I used to be a guy.” Guys–particularly husbands–reading this are nodding and grunting. Women? Whatever. As I said, nobody’s reading this anyway. This entry was posted on February 3, 2010 at 5:36 am and is filed under air travel, airliner, airlines, airport, flight crew, jet, lavatory, mile high club, passenger, pilot with tags airline, airliner, airport, club, flight crew, food, high, lavatory, mile, passenger, pilot, travel. You can follow any responses to this entry through the RSS 2.0 feed. You can leave a response, or trackback from your own site. I’m surprised to read of such immature behavior from airline pilots. I’m a general surgeon and I constantly fart as loud as possible in the OR, because I can. Glad to know other professions act like guys, too. Yeah; might be better if our victims were under general anesthetic like yours. Guess our locked door keeps them “out” in a different way. ah jeez – this was so funny I dragged Dave in and read the whole thing out loud. thanks for a morning laugh. Me too: the “Mile High Club” in the lav sounds disgusting. Thanks for commenting. killer blog!! keep it up,pleeze. This is classic! I just discovered your blog and will follow it regularly. You write and draw with great skill. Thanks for reading, and welcome aboard! GROSS!!!!!! Just think, I am considered a commoner….oh what they all don’t know! Seriously…..still GROSS!!! Yeah, the idea of several outhouses on a jet, especially right by the lav, is gross. 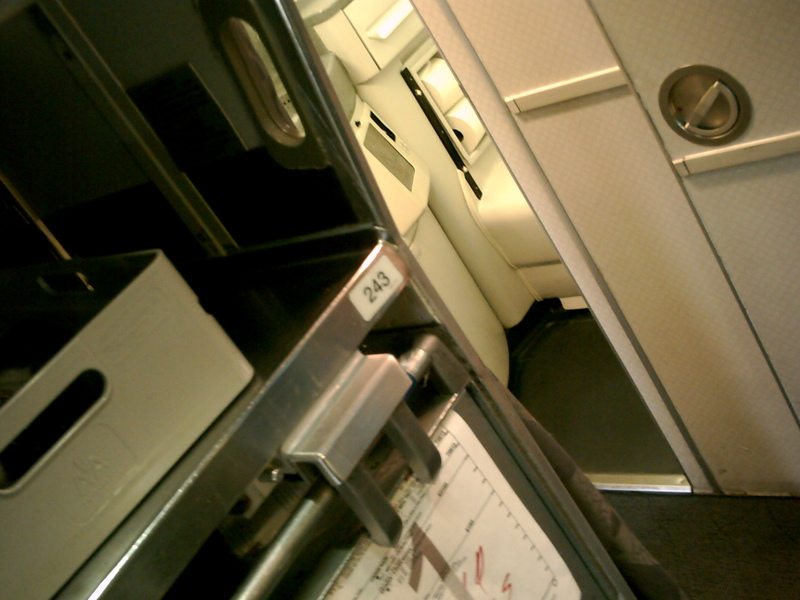 The flight attendants in back on a full flight get to sit between the doors in the “bathroom monitor” position. Glamorous, no?